CampBX is a platform where you can buy and sell Bitcoins in real-time from other CampBX users. Your buy or sell orders are matched against a parameterized database of other orders. If a perfect match is found, a Bitcoin-to-USD trade is executed instantly. If there are no matching orders at the price you specified, then your order can remain open for up to 31 days. To maintain fairness in trading, we have taken a purely-platform approach and CampBX is never a counter-party to any trade. Our platform was designed with stability and security as top priorities, and we became the first Bitcoin website to obtain Payment Card Industry (PCI) certification and the McAfee Secure seal of confidence on June 28th, 2011. There are no fees required to open a CampBX account and all of the above features are included as standard. We encourage you to sign-up now and try us out! Bitcoins are digital tokens that represent solutions to a mathematical problem known as "Hashing". Discovering one of these tokens is a difficult computing process, and can take up to three years on a standard laptop. Due to this rarity and predictable supply, Bitcoins are widely used as bartering tokens on the Bitcoin peer-to-peer network, or for day-trading against other Bitcoin users. People who are new to Bitcoin often prefer to simply purchase them from others who may have extra Bitcoins. This is where CampBX comes in: we provide a powerful yet friendly platform to buy and sell Bitcoins. We also have an API available for algorithmic or high-frequency trading. The software to validate, store, and transfer Bitcoins is open-source and freely available for all Operating Systems including Windows, Mac OS, and Linux. You can obtain a copy of Bitcoin source code here. To learn more about Bitcoins please visit WeUseCoins.com and check out their excellent video introduction to Bitcoin network. Testnet is nickname for a parallel Bitcoin network intended for testing all Bitcoin-related applications and websites. Testnet works exactly like Bitcoin, except that the testnet-Bitcoins are freely available and really easy to create. You can read more about Testnet here on Bitcoin Wiki. CampBX's own Testnet version provides you a learning tool to try out the world of Bitcoin, and practice your trading strategies with monopoly money instead of risking real money. We highly recommend getting a feel for Bitcoin trading on testnet before diving in to the livenet version. How does Testnet Trading Work? You can use these funds to buy / sell with other CampBX Testnet users. CampBX Testnet also boasts a full-functionality API for training your bots and HFT engines. Please note that CampBX Testnet is our development team's sandbox to test new features. If you see something amazing or mysterious, just ignore it! CampBX was designed from the ground up with stability and security as top priorities, and we became the first Bitcoin website to obtain Payment Card Industry (PCI) certification and the McAfee Secure seal of confidence on June 28th, 2011. Our security auditor is McAfee Secure (formerly McAfee Hacker-Safe), who are #1 in threat detection in the industry with 99.9% coverage of potential security vulnerabilities. Companies such as Costco and Petco have also chosen the same security provider. This daily scanning procedure allows us to catch and fix potential vulrenabilities as soon as they emerge, and we have set an internal 72-hour SLA to resolve these vulnerabilities. We have taken every precaution to ensure that your money stays safe! We are incorporated in State of Georgia and are subject to the local jurisdiction. 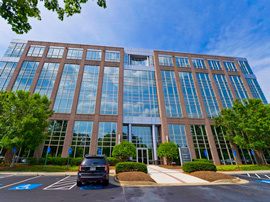 We maintain 100% of funds (no fractional reserve) received in on-shore FDIC-insured bank accounts, and have an active compliance program to adhere to legal requirements set forth by State of Georgia - Department of Banking and Finance. Bulbul Investments LLC (CampBX) has no institutional debt or unfunded liabilities, which further reduces your risk. Our servers go through a daily comprehensive security audit by McAfee Secure, which allows us to catch and fix potential vulnerabilities as soon as they emerge. However, please keep in mind that we are not a bank, we are a business. There is also certain amount of risk involved in trading. Never trade with more funds than you can afford to lose. Keep only the funds you intend to use for trading in near term, and follow good security practices to protect your computer and your trading account password from being compromised. 2-factor authentication greatly increases your account security by requiring two distinct challenges for login and Bitcoin transfer attempts: your password and a temporary code generated every 30-seconds on your smartphone. If your account credentials are compromised due to a malware or a hacker attack, your account is still protected as long as you have your smartphone. How does it work? After you activate this feature for your account, every attempt to login or transfer Bitcoins will require a 6-digit code generated by Google Authenticator app on your smartphone. This code must be entered correctly for transaction to proceed. Google Authenticator app is available for Apple iOS devices (iPhone / iPad / iPod), Android phones and tablets, and Blackberry devices. How to Activate 2-factor: You can opt in for 2-factor authentication feature by logging in your CampBX account and visiting the "My Profile" page. Click Edit button at the bottom and enable 2-factor checkbox. This will generate a QR code with your secret token: you need to scan this QR code using Google Auth app on your smartphone. If the scan is successful, you will see a 6-digit token on your phone which keeps changing every 30 seconds. That's it - your setup is complete. CampBX is a Bitcoin trading platform based in the United States. The foundation of our operations is an active and prominent compliance program, and we are committed to maintaining full compliance with State of Georgia - Department of Banking and Finance and Department of Treasury regulations. Spirit of our program is to do the right thing, above and beyond the legal requirements. This is why we reserve the right to verify our users and transactions. Attempts to bypass account maximum limits or international money transfers will result in a refund of all funds and a ban for the violating account/s. We have hard-coded additional rules in our trading engine to thwart illegitimate usage of the platform. Our Know-Your-Customer process is based on the Financial Action Task Force (FATF) recommendations approved in April 2008 and International Compliance Association (ICA) training standards. This includes scanning applicant against the Office of Foreign Asset Control (OFAC) Sanctions list, and political exposure / adverse actions assessment. If you are interested in obtaining a verified account, please refer to this link for further instructions. We do not sell or share your information with any other commercial entity. Our referral program allows you to create a special incentive for your friends and family. Whenever someone signs up using your affiliate link, they get a 10% lifetime discount on CampBX commissions and you get a 10% share of their commissions. To find out your affiliate link, please log in to your CampBX account and click on "My Profile" in upper right corner. There you can also see number of people who have signed up using your affiliate code. Please note that the discounts are processed on 1st day of each calendar month, and will show up in your timeline as "Friends & Family Discount/Commission". Please use restraint when sharing the link and do not spam people. Any complaints of spamming or violation of CampBX User Agreement will result in immediate disablement of your affiliate link. If you are trading high volumes, CampBX offers aggressive volume trading discounts. The best part is, usually you do not even have to ask for them. If you are among our top traders, our team will reach out to you and offer you retroactive volume discounts. We will also be happy to work with you on developing custom API calls and affiliate programs to ensure that you can always trade at peak efficiency. When you register for a CampBX account, we automatically set up your dedicated Bitcoin wallet on our servers in Arizona data center. You can read more about the security and management best practices employed by CampBX at: Security and Compliance. Bitcoins in your CampBX account are never moved without your express request to sell or withdraw them. However, when you place a Sell order for X number of bitcoins, system puts hold on that amount X in your CampBX bitcoin wallet. This amount will not be available for you to withdraw due to the hold. When you cancel a pending order, this hold is removed and bitcoins are available for your immediate use since they never left your wallet. This feature has been disabled to comply with US State and Federal regulations. To obtain your current Bitcoin wallet deposit address, please login and go to Transfer -> Bitcoins page and click "Generate Deposit Address" button. This will provide a dedicated disposable address for your CampBX account and an expiry date associated with this address. Please pay attention to the expiry date, because your address will be wiped out after the given date (validity period is usually 1 week). Do not use this address after the expiry date, as your Bitcoin transfers will not be credited to your account. If you mistakenly make a deposit to an expired address, our system administrator has to expend several hours to track it down. We have to bill these hours out to customer if they wish to recover a lost deposit. "Generate Address" button will generate the same address till a deposit is received at the said address. Once a deposit is received, clicking "Generate Address" again will produce a fresh address. We wait for 6 confirmations from the Bitcoin network for all incoming transfers: this usually takes 1 to 2 hours. In the meantime, you should be able to see your deposit reflected in "Pending Deposits" amount on main Account Summary page. Daily Bitcoin transfer limits: Default Bitcoin withdrawal limit for unverified accounts is equivalent to $100 per day. This limit is in place to comply with FinCEN rules and regulations, as well as to protect customers in case their account is compromised. Verified accounts can request a higher daily limit for Bitcoin withdrawals. Daily money transfer limits: The maximum amount you can transfer from unverified accounts is capped at $100 per day. All withdrawals and deposits in a rolling 24-hour window count towards this limit. Verified accounts can request a higher daily limit for money transfers. Maximum Account Size: Default maximum account size limit for unverified accounts is USD 1,500; if you would like to raise this limit, please follow our KYC process as mandated under the USA Patriot Act of 2001. CampBX is in the process of winding down, and we are not acccepting any deposits effective Q4 2017. CampBX is in the process of winding down, and we are not processing any withdrawals besides wind-down effective Q4 2017. CampBX is in the process of winding down, so there are currently no plans of supporting EU. Margin Trades: 2% upfront fee, no interest charge for 31 days. There are NO fees for depositing / withdrawing Bitcoins from CampBX; However, small or frequent Bitcoin transfers may trigger a transfer fee automatically assessed by the Bitcoin network to prevent DDoS attacks. USD deposit / withdraw do not incur any fees from CampBX except what we have to pay to the transmitters. CampBX provides Quick Trades for casual Bitcoin users. You simply enter the quantity and the desired price for buying or selling Bitcoins, and execute the trade. All prices that you enter are "Limit" prices, where we will find a matching trade at given price or better. If a match is not found instantly, Quick trades will stay open on our order book for a maximum of 31 days. Spend-X Algorithm allows to you spend a desired amount of money by automatically calculating Bitcoin quantity. These calculations are based on current orderbook prices, and commissions are factored in automatically. Second option is to enter desired limit price per Bitcoin in the "Price" field. Spend-X will calculate quantity after commissions. Please keep in mind that due to fundamental differences between Bitcoin technology and Stock Markets, all functionality may not be exactly same as you have come to expect with your stock-broker. Please use caution and start with some smaller trades or use CampBX Testnet for practice. Please Note: Margin trading will be enabled on livenet when platform liquidity crosses a preset threshold. This feature is available on CampBX testnet if you would like to try it out in the meantime. Margin trading amplifies your losses as well as your gains. Bitcoin markets are known to be extremely volatile, so please use caution when trading on margin. Minimum account balance required to use Margin Trading feature is $500. This limit is in place to discourage casual traders from participating in a high- volatility market. Never risk your savings on Margin Trading, and keep a comfortable margin of error in developing your entry / exit strategies. Unlike stock markets, you do not pay any interest on your margin at CampBX. Instead, all Margin Trades are assessed a flat-rate 2% commission upon execution (not order placement). Dark Pools or Dark Liquidity are orders that deliberately do not advertise their liquidity. In other words, the order exists but you cannot see it in the Depth Table till your order "trips" on a Dark Pool. The main advantage of Dark Pools is that it allows big players to move large quantities without tipping their hand to the market. CampBX is the only Bitcoin platform to provide a Fill-Or-Kill (FOK) option, which is a valuable tool for probing and discovering Dark Pool liquidity. Please Note: Short Selling will be enabled on livenet when platform liquidity crosses a preset threshold. This feature is available on CampBX testnet if you would like to try it out in the meantime. We do not allow naked shorts; the user is required to put 52% of the Bitcoins towards the trade. The trade maximum size is also capped depending on liquidity in the market. We do not borrow any coins from user accounts, and only the user can move the coins out of his/her wallet. There is a dedicated "house account" funded internally for the lending-pool. This account is risk-managed based on liquidity available in the market to limit our risk exposure. Due to these safety-checks in place, short selling may not be available at all times. When you choose to cover a short, the trade is executed at Market price. So monitor your open positions at all times, and choose your timing carefully! For certain high-volatility stocks, Stock-Brokers have the right to liquidate a position instead of issuing a Margin Call. Bitcoin prices have been very volatile recently, so CampBX is forced to mimic the same behavior and liquidate positions at 25% drop. We also liquidate Margin Positions at the end of a 31 day period to preserve capital in the lending account. In future when Bitcoin trade volumes go up and prices stabilize, we are eager to modify this algorithm and offer a Margin Call to our longstanding customers. The bottom line of the article is that margin accounts require work on behalf of the customer, including several price checks per day. Bitcoin Widget is a 1x1 widget for displaying the current value of a Bitcoin in US dollars, and can be configured to display live quotes from CampBX. An app for iPhone and iPad for CampBX is in development. Please stay tuned to our Twitter or Facebook news feed for the announcement. CampBX provides a comprehensive API if you are interested in writing bots and automated trading programs. Please refer to the API documentation for additional details. If you have any enhancement requests for the platform, please contact our helpdesk and share your idea! We are proactively looking for ideas that can make our core offering better suited to your requirements.